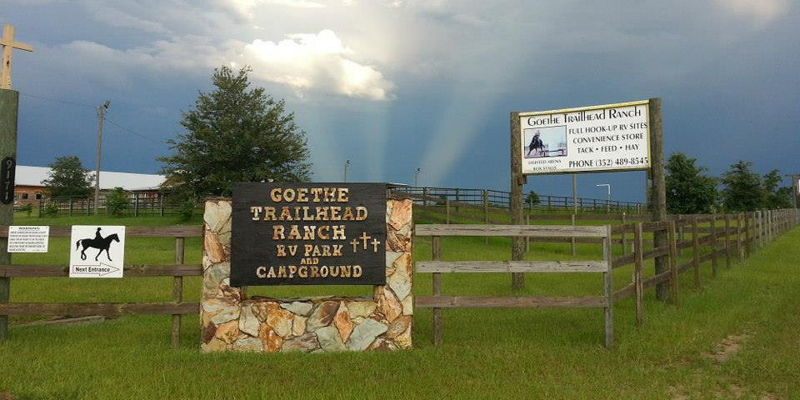 We loved our stay at Goethe Trailhead Ranch Campground. They have super nice ladies running the place. The campground has a quiet, clean atmosphere with grass lots. The bathhouse was one of the cleanest I’ve ever been in. They also have a sparkling pool which is a great bonus. We enjoyed the state forest trails across the street for hiking. It’s an overall good location to town (about 15 minutes away) but out of the way where you still feel like you are camping.